Issuing a report yesterday exposing major radioactive impacts of hydraulic fracturing known as fracking — was Grassroots Environmental Education, an organization in New York, where extensive fracking is proposed. But also released, notes the report, is radioactive material in the shale including Radium-226 with a half-life of 1,600 years. A half-life is how long it takes for a radioactive substance to lose half its radiation. It is multiplied by between 10 and 20 to determine the “hazardous lifetime” of a radioactive material, how long it takes for it to lose its radioactivity. Thus Radium-226 remains radioactive for between 16,000 and 32,000 years. Radium causes cancer in people largely because it is treated as calcium by the body and becomes deposited in bones. It can mutate bones cells causing cancer and also impact on bone marrow. It can cause aplastic anemia an inability of bone marrow to produce sufficient new cells to replenish blood cells. Marie Curie, who discovered radium in 1893 and felt comfortable physically handling it, died of aplastic anemia. Cover Up: What You Are Not Supposed to Know About Nuclear Power. He is the host of the nationally aired TV program, Enviro Close-Up. Radioactive isotopes are constantly spewed from the destroy Fukushima Daiichi nuclear plant and are easily picked up by the jet stream and transported across the North Pacific in storm systems. When these weather fronts hit the mainland, the rains wash the radioactive particles out of the air and spreads them over everything that receives precipitation. The US West Coast and especially British Columbia, specifically the Vancouver area, get hit the hardest. As the jet stream migrates up and down the coast during the rainy season, the highest levels of radioactivity will accumulate, logically, in the areas of higher rainfall. The more the rain, the higher the radiation concentration in the soil. The radiation, of course, is not all washed out at once and continues to be transported and dumped on the US and Canada from West to East with measurable amounts of contamination ultimately having been recorded in multiple locations of Europe. Note – Some winter storm systems come upward from the tropics and the Hawaii area (known as the ‘pineapple express’ storms) are much less contaminated. Everything from trees to shrubs and all agricultural crops uptake the Fukushima radiation from the now contaminated soil and eventually spread through the entire food chain. Nothing is spared. The hay and grasses growing in contaminated soil are consumed by beef and dairy cattle and that is how radiative isotopes wind up in the animals and their milk products. That’s why Cesium 137 was found in the milk of Vermont dairy cattle in the months after the 3-11 disaster…and that is why you’ll hear nothing from the EPA about radiation in our crops, meat and dairy products. Only covered greenhouses were and are spared being hit with radioactive rains. View full sizePlain Dealer fileVapor from cooling tower at The Davis Besse nuclear power plant billows over farmland along Rt. 2 in Oak Harbor, Ohio, in January. Engineers at the Davis-Besse nuclear reactor near Toledo found a pinhole coolant leak in a pipe weld Wednesday evening while inspecting the plant. 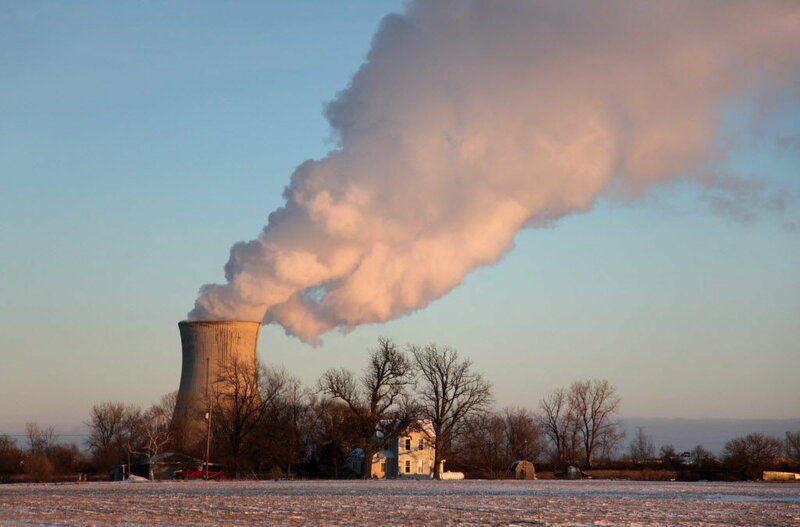 Davis-Besse was preparing to resume operations after more than a month-long reactor shutdown for refueling and plant maintenance. In a report early Thursday to the Nuclear Regulatory Commission, plant owner FirstEnergy Corp. estimated the leak of radioactive coolant inside the reactor containment building at about one-tenth gallon per minute. Spokeswoman Jennifer Young said the leaked coolant flowed into a nearby floor drain and was captured for later processing. There were no injuries and no radioactivity escaped into the atmosphere, she said. The leak did not occur until the cooling system was pressurized in preparation to restart the reactor, she said. Pressurization began on Tuesday. The engineers were conducting the “walk-down inspection” while the reactor was in “hot standby” mode, with the cooling system running at normal operating pressures and temperatures. Through the reactor had not yet been re-started, operators on Tuesday had switched on the four massive reactor coolant pumps, which pressurized the system and heated the coolant to about 300 degrees from sheer friction as the pumps pushed it throughout the nuclear core, said Young. The company’s report to the NRC noted that the coolant was spraying from a pinhole in the socket weld of a three-quarter inch pipe at a 90 degree elbow between a reactor coolant pump and a safety valve. When the leak was spotted, reactor operators immediately began a shutdown and engineers began repair preparations. The plant reached cold shutdown about 1 p.m. Thursday, said Young. Repairs were expected to be completed over the weekend. FirstEnergy shut down the 908-megawatt reactor on May 6 for normal refueling, inspections and maintenance. Contractors employing more than 1,000 workers joined Davis-Besse employees to replace 68 of the reactor’s 177 fuel rods. Contractors also were involved with preventative maintenance of major components including emergency diesel generators, valves and pumps — though not the coolant pumps and plumbing where the leak occurred. Crews also worked on the power plant’s cooling tower to improve efficiency. Love popcorn? Whatever you do, don’t make yours in the microwave — because nuked popcorn contains a chemical you won’t find listed in the ingredients. And it can wreck your health. It’s not the popcorn itself or even the fake buttery spread — although, let’s face it, those are bad enough. It’s C-8P, or perfluorooctanoic acid (PFOA), a chemical used to manufacture the heat-resistant fluoropolymers used in microwave popcorn packaging, fast food burger wrappers, nonstick cookware, and more. It’s practically everywhere, really — and now, a team of independent scientists says this stuff could give you cancer. And how we found out about this disease link is an absolute tragedy. Years ago, the groundwater in a region of West Virginia was contaminated with PFOA from a chemical plant that makes the stuff. But the people didn’t know it. Not at first anyway — so for years, they were getting low-but-constant levels of it from their drinking water. Now, they’re paying the price: Scientists brought in to monitor the community say they’ve established a “probable link” between PFOA exposure and both kidney and testicular cancer. In fact, high levels of PFOA increased the risk of kidney cancer by 170 percent, according to the panel. Last year, the same panel found a link between the chemical and pre-eclampsia (high blood pressure during pregnancy) — and there could be more revelations to come as the panel gets ready to release a series of reports on possible links between PFOA and heart disease, thyroid problems, neurological issues in children, and more. In the meantime, work on avoiding these chemicals as much as you can, and not just PFOA. This stuff is part of an entire class of dangerous chemicals called PFCs, and they’re used to make things waterproof, wrinkle-free, stain-resistant, heat-resistant, and non-stick. And along with cancer, they’ve been linked to hypothyroidism, immune system problems, reproductive disorders, and more. What makes this so much worse is that these chemicals stay in the body for a very long time. The half-life of PFOA — the amount of time it takes for half of the original amount to leave the body — is 4.4 years. Another PFC, PFOS, has a half-life of nine years. Clearly, a little bit goes a very long way. Since they’re in everything, they’re not easy to avoid — so let me get you started: You can pop ordinary popcorn kernels in your microwave using nothing more than a plain brown paper lunch bag. You don’t even need oil. It’s cheap, easy, and every bit as fast. Not to mention chemical-free… and no fake buttery spread. If your child (or you!) has been getting unexplained headaches, nosebleeds, insomnia, heart palpitations, nausea or dizziness, then it’s a really good idea for you to take a look at your cell phone and WiFi exposure as a possible cause. 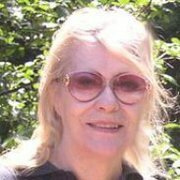 This email sent out by a woman working tirelessly to get her school to hardwire their computers is a very powerful testimony and may do more to make people aware of the ill health effects of this technology than all the scientific info I’ve been posting here:My experience is different than most parents. It’s possible that both deaths were preventable. My neighbour’s partner used a brick phone in the 80’s and last year underwent surgery to remove a brain tumour with his kids being just 9 and 12 years of age. My friend’s son has heart palpitations at the age of 12 and needs a heart monitor and his school has several commercial grade multiple antenna wifi routers. When he is at home, his heart has a regular rhythm. My naturopath’s daughter sat under a commercial grade multiple antenna wifi router at school for a year and became dizzy, nauseas, anxious, had ringing ears, headaches, and was light headed – which are all classic symptoms of over exposure to microwave radiation – that they had to home school her and ultimately move to a remote location away from multiple forms of microwave radiofrequency radiation. 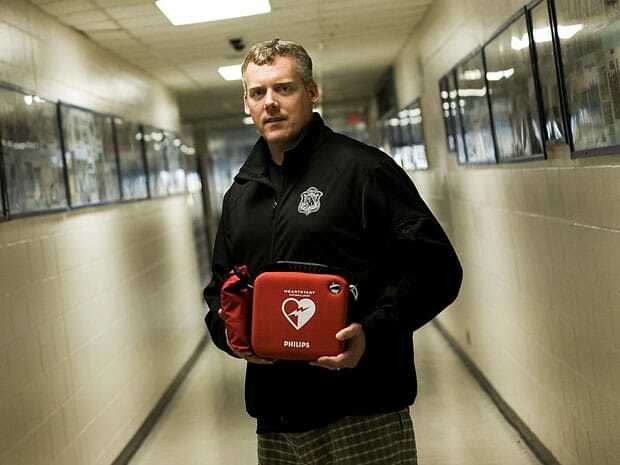 Is it just me or does it seem extremely odd that teenagers are having heart attacks regularly? These deaths and illnesses make me wonder what are we actually allowing when we say yes to a class 2b carcinogen that can’t be touched, seen, heard, smelled or tasted in our children’s schools? The schools are taking that liability away from wifi manufacturers. Do all schools have the liability insurance to cover the illnesses that will happen in the coming years or even in 10, 20, or 30 years? Why won’t insurance companies cover wifi manufacturers? When parents start sending in their Notices of Liability to school administrators, school trustees and school district officials, will schools start treating Microwave Wireless Radiation as the class 2b carcinogen it is and protect all children with the precautionary principle and maintain current wired internet access and think: Safety over Convenience? Microwave Wireless Radiation ultimately affects everyone. If you’re a parent, go to their site and download their free Action Pack. I also have numerous posts on this site going into detail about the health effects of microwave radiation from WiFi computers, cell phones, iPads, Wii, X-box, etc. Just type “WiFi Radiation” into my SEARCH box on this site and it will pull all my posts up for you. Charlie Teo is one of the few neurosurgeon’s who is willing to stand up and say anything about cell phones causing brain tumours, so definitely check him out. Alongside good food, we often value relationships and communication as essential elements for the nourishment of our mental health and well-being. Undoubtedly, these are important facets in our continued drive for optimal wellness – after all, we are social beings. On the other hand, they are not the only components we should apply in the realm of communication. We currently live in a time were communication is ever-increasing; tools such as the internet and social networking programs have revolutionized the way we interact. Without a doubt, this new age of communiqué has brought people together from many reaches of the world; however, as we have increased the use of such tools, other communication elements have withered. With the advancement of social media technologies, our connection to Nature has dwindled considerably. Our fundamental understanding of earth has been displaced as a result of the increased use of artificial intelligence. Essentially, we have disconnected from the natural elements that surround us. Considering the elevated use of such technologies, we are being exposed to an ever-growing amount of electromagnetic fields (EMF). Coupled with our positive charged environment, exposure to EMF increases the amount of free radicals being produced in our bodies. 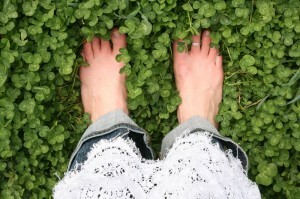 In the book Earthing the most important health discovery ever? Clinton Ober, Stephen T. Sinatra M.D. and Martin Zucker study the relationship of being grounded to the earth as a means for alleviating pain and inflammation in the body. In essence, the book discusses the importance of drawing negative energies from the earth (free electrons) to neutralize the impact of positive forces on the body (free radicals and electromagnetic fields). Today, humans are developing disease at a much greater rate than any other time in our history. Among the many things that contribute to poor health (i.e. drugs, chemicals, poor diet, lack of exercise), being bombarded with electromagnetic fields is by far the most pervasive. You see, we live in a world where our environment is dominated by a positive charge. If we combine this with our body’s inability to neutralize free radicals (because of not being properly grounded to the earth), we end up with accelerated aging, inflammation and subsequently, disease. As a consequence of being perpetually exposed to this type of environment, sever cellular (DNA) deterioration/mutation develops. Seeing that we would treat acidosis with alkaline rich foods to neutralize acidity, it would only make sense that a similar offsetting mechanism be applied concerning our exposure to positive energies. In this case, getting connected to the earth would be the ideal practice. In considering a method to minimize our exposure to electromagnetic fields and inflammation, we need to look no further then what is directly under our nose, or more appropriately, our feet. Yes, direct contact to the earth will instantly minimize inflammation and shield us from electromagnetic energy. Much the same as a lightning rod, electromagnetic energies are re-directed into the ground – thus reducing inflammation and symptoms of malaise. Getting grounded is as simple as brushing your teeth. All you need to do is get outside and connect any part of your skin to the ground. Once the connection is made, an instantaneous flow of free electrons enters the body. Fortunately, many of us are being grounded on a routine basis without even realizing it. The simple habit of having a shower every day instantly connects us to the earth through the copper piping. Through this, many often experience feelings of Zen or exuberance and in most cases creativity is often operating at a higher level. Getting outside and exposing your skin to the surface of the earth may seem impossible for some do in part to our busy schedules and/or climate. Essentially, by getting grounded to the earth, it neutralizes free radicals. Simply put, grounding nourishes free radicals with the missing electron(s) it so desperately needs to become stable. You see, in a case where someone is not grounded, free radicals “steal” electrons from other healthy atoms in order to stabilize. As a result of this process, a new free radical is therefore created, perpetuating a snowball effect. In essence, this is what ages us! By getting connected to the earth, the free electrons that enter our body in effect neutralize free radical propagation and for that reason minimize aging and decrease inflammation. Basically, getting grounded is your greatest source of antioxidants for reducing the effect of free radical damage (oxidization). The best part of it all is that it’s absolutely free! Over the last few hundred years, humans have increased their dependence on shoes. Sadly, it would be hard to find anyone without a pair today in the developed world. Unfortunately, by wearing rubber or plastic soled shoes most of our lives, we are creating a shield from the earth. By doing this, we are limiting ourselves from untapped resources and thus restricting our exposure to the greatest antioxidant source in the world. As a result of this, inflammation and consequently disease are steadily on the rise. Watch the below video of David Wolfe discussing the problem of wearing shoes and the importance of getting grounded. Regardless of how conscious we are about our health, we are all oxidizing at varying degrees. The difference is we can, to some extent, control the degree at which we oxidize by tapping into the energies of the earth. Over the last decade, the world of fissionable material has experienced a quiet revolution. Plutonium, once the lethal darling of nations seeking a secure source of fuel for their nuclear reactors (and their nuclear weapons) has fallen from favor. Uranium has replaced plutonium as the feedstock of choice for the world’s nuclear haves. And business is booming. Asian powers like China and India, concerned about energy security and environmental degradation—and despite the disaster at Fukushima—are turning to nuclear power. The demand for uranium is expected to grow by over 40% over the next five years. In an unexpected but, in retrospect, logical development, Russia is emerging as the dominant global player in the nuclear fuel industry, with the apparent acquiescence of the United States. Today, as Russia sheds some of its bloated Soviet-era nuclear arsenal, it ships legacy plutonium to the United States to provide almost half of the fuel burned in American nuclear plants. At the same time, the Russian government is moving aggressively to establish its state-run nuclear corporation, ARMZ, as a dominant player in the worldwide rush to increase uranium production. Russia brings some unique advantages to the nuclear fuel business. The first is an impressive stockpile of excess plutonium. This, however, is a wasting asset as Russia works through its current inventory without generating significant new quantities of metal. Russia is keeping its fingers in the plutonium pot through a program of constructing fast breeder reactors—which generate a surplus of plutonium—despite their technical, safety, and cost headaches. The second and most crucial advantage is what one might characterize as a determinedly cavalier attitude toward the hazards of nuclear waste, reinforced by the fact that Russia is already a nightmare of nuclear contamination. In fact, it is possible that any additional shipments of nuclear waste to Russia will not contribute significantly to the already dire state of affairs. Nuclear waste is unpopular, as the successful effort to block the US disposal facility at Yucca Mountain attests. Russia’s ability to absorb it—despite growing anxiety and activism within the country—is a major competitive advantage. Countries and companies that burn nuclear fuel but have no local recourse except on-site storage are naturally interested—and sometimes legally compelled—to source their material from a supplier that is willing to accept and dispose of the waste. Russia—even though its domestic uranium reserves are rather paltry—has become a major player in uranium production through investments in Kazakhstan, Mongolia, and other nations. Mr. Putin and the Russian government has played geopolitical hardball in order to improve the competitive position of its ARMZ Uranium Holding Company, as the Mongolian example discussed below demonstrates. Russia’s pivot toward uranium can be contrasted instructively with Japan’s. Plutonium can be regarded as one of Japan’s biggest misplaced industrial policy bets. As a very interesting article by Joseph Trento of the investigative organization National Security News Service, reveals, in the 1970s the Japanese government decided that Japan had to have a closed nuclear fuel cycle, in which plutonium would be generated in significant amounts in fast breeder reactors, extracted from spent nuclear fuel, and funneled back into Japanese nuclear power plants. The ostensible motivation for this policy was the scarcity of the uranium alternative. Nowadays, when uranium reserves are turning up on every continent (and, in the case of Kazakhstan, low-assay ores are processed in situ economically, if not particularly attractively, with a dousing of injected acid and recovered), it is difficult to recall that the dominant perception in the last century was of a uranium shortage. The Japanese government declared it did not want to substitute uranium import dependence for hydrocarbon dependence, and it wanted to establish its nuclear power industry on the basis of breeder reactors creating plutonium and processing plants separating out the metal for fabrication into fuel—a closed cycle that would render Japan self-sufficient in nuclear material. It appears that Japan also had two less apparent, or at least less-publicized, motives. The first was to give Japanese industry—specifically Mitsubishi Heavy Industries—a leg-up in becoming a dominant global force in supplying fast-breeder technology and equipment, a process that was expected to dominate civilian nuclear power generation in the 21st century since it produced more nuclear fuel than it burned. The second was to generate a reassuring pile of weapons-grade plutonium at a time when the United States was cozying up to a nuclear-capable China as a counterweight to the USSR, and Japan had to confront the possibility that it might be left to find its own security/defense way in the Pacific region. This effort required US technical assistance. The deal was done with the Reagan administration in a sweetheart arrangement along the lines of what the Bush and Obama administrations gave this century’s anti-Communist counterweight, India. Unlike other nations, Japan could dispose of its plutonium-rich waste at its own discretion. Japan embarked on a major nuclear energy program and generated sizable quantities of nuclear waste. 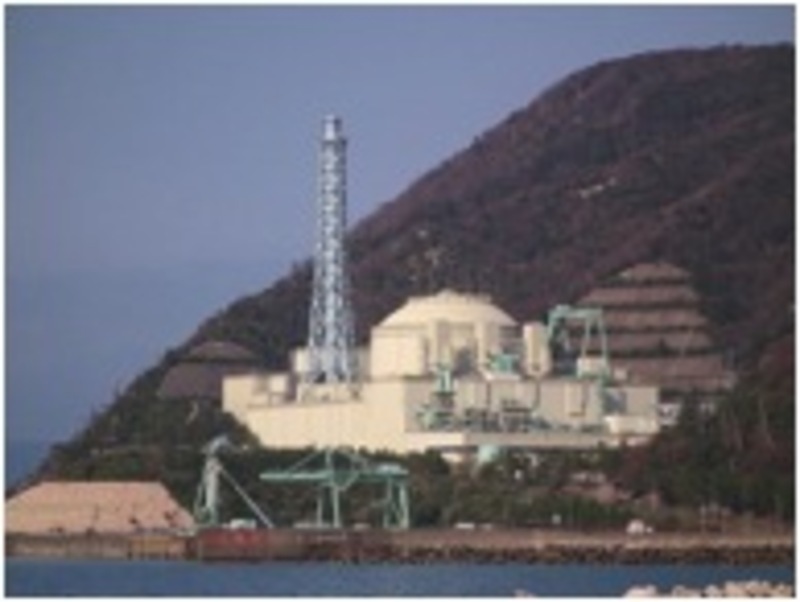 At the same time, the Japanese government poured billions of dollars into fast breeder and reprocessing projects based on US technology that yielded few tangible results and some genuine nuclear hazard scares, such as the cooling system leak that occurred in at the experimental breeder reactor facility at Monju in 1995 and shut down the facility for 14 years. Japan’s two trillion yen spent fuel reprocessing facility at Rokkasho, a sister to the mammoth operations at Sellafield in the UK and Le Havre in France, has experienced a series of startup problems and has not yet entered production. Despite a 2006 government report estimating that the cost of reprocessing spent nuclear fuel over the next 40 years would amount to 18 trillion yen, the Japanese energy establishment appears to be in the grip of political and technological inertia and is still proceeding with its program (although non-proliferation expert Frank von Hippel pointed out that mothballing the Rokkasho plant would still provide ample jobs “for decades” for the adjacent village: decontamination expenses related to the current storage operations alone would amount to 1.5 trillion yen). Without viable local processing capability, Japan stored some of its waste in cooling ponds on site (such as in the cooling ponds now bedeviling Fukushima), at Rokkasho, and at an interim storage facility. The rest is shipped to France and Great Britain, the only two countries that still maintain a reprocessing capability. Now, despite a stated policy of no surplus plutonium, Japan is the proud owner of an estimated 46 tons of plutonium—ten tons of it in country, the rest of it held by France and Great Britain on its behalf. If Rokkasho operates as planned, Japan’s total plutonium stock would triple by 2020. For comparison purposes, China is estimated to hold less than 20 tons of highly enriched uranium and a small amount of plutonium. The PRC has probably not produced any weapons-grade fissile material since 1990. While the world wrings its hands over Iran and its 15 pounds of highly enriched uranium, Japan appears the more pressing nuclear weapon breakout threat. CNS – civil highly enriched uranium: who has what? A focus of US diplomacy is keeping the Japanese nuclear weapons dragon bottled up. A weaponized Japan, in addition to generating a certain amount of regional anxiety and triggering an arms race, could turn into an Israel of the Pacific i.e. a titular US ally but with its own security policy more beholden to national interests, fears, and politics than US strategic priorities. Not unsurprisingly, South Korea, surrounded by actual and potential nuclear weapons states, is trying to go the spent fuel reprocessing route, but has, at least for now been rebuffed by the United States. After the current US-Korea nuclear treaty expires in 2014—and the US will still be unable to offer South Korea any spent fuel storage options—it remains to be seen how firm US resolve will remain. Overall, today, the world finds itself in a situation in which plutonium is passé and uranium is de rigeur. Russia continues to build breeder reactors as part of its nuclear portfolio but has shifted its focus to uranium. China operates a small experimental program. India runs a big unit to generate plutonium for its weapons program. And, there’s Japan. That’s about it. The US, France, and UK have all shut down their breeder reactors. The UK is considering a shutdown of its Sellafield processing facility because of slackened demand, and is looking at ways to burn weapons-grade nuclear fuel directly into a reactor. Uranium brings its own matrix of advantages and headaches. Not only is uranium ore relatively plentiful, improvements in centrifuging allow it to be enriched to fuel and weapons grade in a relatively efficient and elegant way compared to the massive diffusion plants that were the norm at Oak Ridge during the 1940s and 1950s. Perhaps it has become too cheap and easy to pursue the uranium route, as the examples of Pakistan, Libya, Iran, and North Korea imply. Non-proliferation, instead of relying on the technical and financial barriers erected by the fiendish complexities of generating, separating, and refining plutonium metal or gaseous diffusion of uranium hexafluoride, must turn to the use of sanctions and sabotage (such as the Stuxnet worm) to deter unwelcome actors. And the general eagerness to advance the commercial development of the nuclear industry has placed Russia—hardly a reliable or benevolent partner of the West—near the center of the world uranium industry with a vested strategic and economic industry in promoting its expansion. In the case of Iran, a prime customer for Russian nuclear technology and fuel, Moscow is clearly going beyond business imperatives acting in the service of geostrategic calculations that the United States and its allies decidedly do not share. Meanwhile, Iran’s neighbors such as Saudi Arabia and Turkey pursue nuclear energy agreements with Russian and Chinese support. In the Saudi case, Prince Faisal bluntly stated that the Kingdom is interested in nuclear weapons, not just nuclear power. Saudi Arabia may seek nuclear weapons prince says. With the decline of plutonium, the proliferation dangers of nuclear energy have not ended. They have simply mutated in response to the new commercial and technological imperatives of the uranium industry. 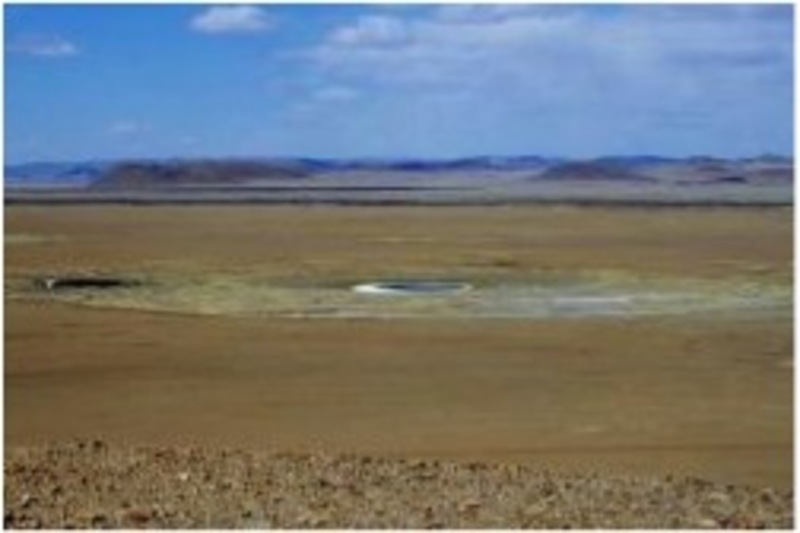 Coverage on a secret document detailing an international nuclear waste disposal site that Japan and the United States had planned to build in Mongolia, for which I won the Vaughan-Ueda Memorial Prize for 2011, has highlighted the difficulties in dealing with radioactive waste. The secret plan surfaced as the crisis at the tsunami-hit Fukushima No. 1 Nuclear Power Plant has stirred controversy over the pros and cons of nuclear power. I learned that the Japanese Economy, Trade and Industry Ministry and the U.S. Department of Energy had been secretly negotiating the plan with Mongolia since the autumn of 2010 when I interviewed a U.S. nuclear expert on the phone on April 9, 2011. “Would you please help the Mongolian people who know nothing about the plan. Mongolia is friendly to Japan, Japanese media certainly has influence on the country,” the expert said. I flew to Ulan Bator, the capital of Mongolia, on April 22, and met with then Ambassador Undraa Agvaanluvsan with the Mongolian Foreign Ministry in charge of negotiations on the plan, at the VIP room of a cafe. Before I asked the ambassador some questions getting to the heart of the plan, we asked my interpreter to leave the room just as we had agreed in advance. The way the ambassador talked suddenly became more flexible after I stopped the recorder and began asking her questions in English. She explained the process and the aim of the negotiations and even mentioned candidate sites for the disposal facility. After the interview that lasted for more than two hours, the ambassador said she heard of a similar plan in Australia and asked me to provide Mongolia with any information on it, highlighting the Mongolian government’s enthusiasm about overcoming competition with Australia in hosting the disposal facility. I subsequently visited three areas where the Mongolian government was planning to build nuclear power stations. Japan and the United States were to provide nuclear power technology to Mongolia in return for hosting the disposal facility. I relied on a global positioning system for driving in the vast, grassy land to head to the sites. All the three candidate sites, including a former air force base about 200 kilometers southeast of Ulan Bator, are all dry land. No source of water indispensable for cooling down nuclear reactors, was found at any of these sites and a lake at one of the sites had dried up. Experts share the view that nuclear plants cannot be built in areas without water. I repeatedly asked Mongolian officials responsible for nuclear power policy how they can build nuclear plants at the sites without water. However, they only emphasized that all the three sites meet the safety standards for nuclear plants set by the International Atomic Energy Agency (IAEA). In other words, Japan and the United States proposed to build a spent nuclear waste disposal facility in Mongolia, a country that has little knowledge of nuclear energy. The United States wanted to find another country that will accept spent nuclear fuel that can be converted to materials to develop nuclear weapons in a bid to promote its nuclear non-proliferation policy. Both the Japanese and U.S. ideas are understandable. However, as Mongolia has just begun developing uranium mines and has not benefited from atomic energy, I felt that it would be unreasonable to shift radioactive waste to Mongolia without explaining the plan to the Mongolian people. I did not feel a sense of exaltation from learning the details of the secret negotiations on the disposal site. I rather felt ashamed of being a citizen of Japan, which was promoting the plan. The Fukushima nuclear crisis that broke out following the March 11, 2011 quake and tsunami has sparked debate on overall energy policy. Some call for an immediate halt to nuclear plants while others insist that such power stations are indispensable for Japan’s overall energy, industrial and security policies. “The matter isn’t limited to nuclear energy. Our generations have consumed massive amounts of oil and coal,” a Finish government official said. The Mainichi scoop on the secret plan sparked campaigns in Mongolia to demand that the plan on a spent nuclear fuel disposal facility be scrapped and that relevant information be fully disclosed. Bowing to the opposition, Mongolian President Tsakhiagiin Elbegdorj declared in the U.N. General Assembly session in September last year that the country can never host a radioactive waste disposal facility. However, human beings have yet to find a solution to problems involving nuclear waste. Click [here] for the original Japanese story. Click [here] for the original English : Mainichi scoop on Mongolia’s nuclear plans highlights problems in dealing with waste. 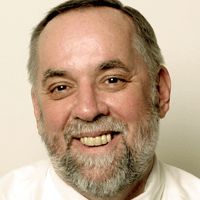 Recommended citation: Peter Lee, “Uranium Boom and Plutonium Bust: Russia, Japan, China and the World,” The Asia-Pacific Journal, Vol 10, Issue 18, No. 1. Are The Alaskan Airlines Flight Attendants Getting Sick From Fukushima Radiation? I say YES! The official story is that hundreds of flight attendants that are having hair fall out and itchy skin rashes because of new uniforms but I’m not buying it! Here’s the official story where they blame hair falling out and skin rashes on the uniforms they got in 2011. They say it’s because of Tributyl phosphate which MAY be embedded in the uniform. Sounds pretty fishy to me and I’m not buying this explanation for a second! One clue comes in the statement from one of the attendants that said the problem surfaced when they flew 6-7 days in a row. The longer you are exposed to high levels of radiation the sooner you develop symptoms of radiation sickness. The Seattle to Anchorage Alaskan Airlines Flights are Being Exposed to the Most Radiation Anywhere! The reason I believe that the Alaskan Airlines Flight attendants could be getting sick from the radiation is because those 3 hour flights between Seattle and Anchorage are getting hit with some of the highest radiation levels anywhere right now! I’ve taken those flights in the 80s and 90s dozens of times when I used to live in Alaska and travelled to the “Lower 48” as we called it. They are quite long and they fly high to be above the turbulence. So you’ve long flights at high altitude in probably the worst area for radiation in the world right now. Look at the map below and you’ll see that the highest radiation you could possibly get would be flying between Seattle and Anchorage all the time! There’s no question that flight attendants are going to be getting hit with far more radiation now than they were before Fukushima began spewing it’s deadly poison. Who really knows how bad it is because the government shut down all the radiation monitors as soon as Fukushima began melting down! They also won’t even monitor the food for radiation! They love us so much! If radiation is hitting these attendants at hundreds of times more radiation than it used to do before Fukushima then I say it’s very probable that after being exposed to it for weeks, months and even a year now then the first signs of radiation sickness would be felt by those attendants on these 3 plus hour flights between Seattle and Anchorage. It just makes sense. I urge any flight attendant to get their urine tested for radioactive elements and to cut way back on their flights to see if that helps. My bet is that cutting their flight times will reduce these symptoms no matter what uniform they wear. It seems ludicrous to me that Alaskan Airlines wouldn’t replace all the uniforms IMMEDIATELY but maybe they are delaying because if they go to new ones and the problems persist then they will really have a mutiny on their hands! Flight attendants go on many more flights than the pilots since there are more rules for pilots and they only let them fly so many hours per month. So I would expect the flight attendants to show signs of radiation sickness first. Of course we know that Polar Bears seals and other wildlife in Alaska have been spotted with missing fur and strange sores all over their body. You can read about this here. I will bet you $5 that this is radiation sickness because nobody had ever seen it before Fukushima. The Eskimos had never seen it and they’ve been there a VERY long time! Of course the “officials” won’t admit it but they have no answers on what is causing it which I find patently absurd also. Nuclear Power is a HUGE scam that has NEVER been needed and MUST be shut down NOW! How Do You Know When the “Authorities” are Lying – When Their Lips are Moving! When have we EVER been able to really trust the “authorities” anyway? They’ve lied to us about Fukushima, GMO, Chemtrails, Fluoride, Aspartame, the Federal Reserve and so much more so anything they say must be carefully examined because most of the time they will absolutely lie to us. We talk about all the lies they have told us on Project Nsearch all the time. It’s time for ALL of us to wake up to reality. The criminals and liars are running the asylum! How did it get this way? Because most of you turn on your TV and get lied to each night by your mainstream news! When you finally figure out just how badly you’ve been lied to by your TV news you will never pay to get brainwashed again! You will get active and spread the truth as if your life depended on it because it DOES! The efforts of two Japanese citizens, Matsuura Akio and Murata Mitsuhei, to raise awareness of the risk of a further major accident at Fukushima are to be commended. More than 13 months after the accident began – the threats from the Fukushima-Daiichi site are multi dimensional and on-going, but the under reporting of these risks as a result of nuclear crisis fatigue tied with the 24 hour news cycle can lead to a complacency on the current and future reality at the site. 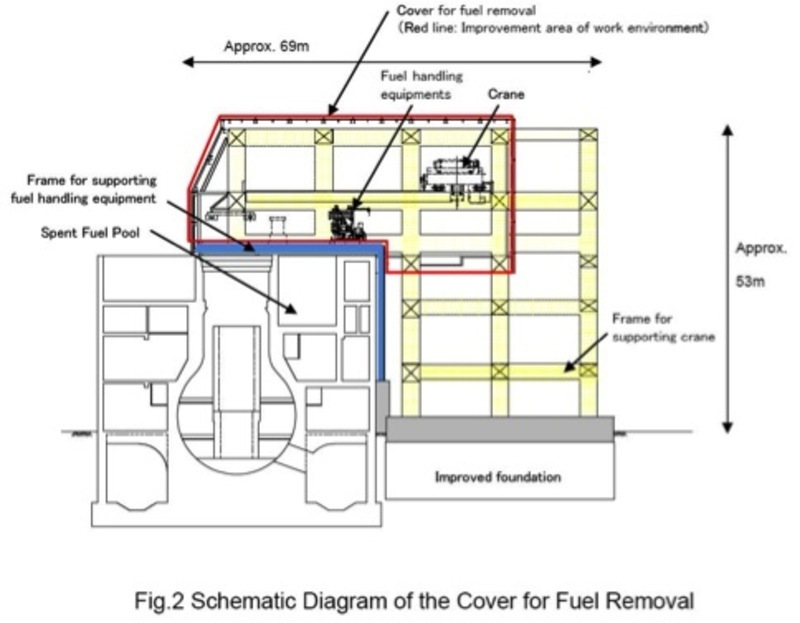 The specific issue highlighted by Matsumura and Murata is the risk and consequences of the failure of the spent fuel pool at the destroyed reactor unit 4 at Fukushima-Daiichi. As they report the spent fuel inventory at this pool is the largest of all 4 reactors that were destroyed by the earthquake and tsunami in March 2011. While one can take issue with some of the language used – fate of the whole world being one – it is important to understand the scale of the threat, and why there are no easy and quick solutions. The risks from spent fuel have been known almost since the beginning of nuclear power – the radiation levels are so high that without shielding, direct exposure to spent fuel rods is fatal. Despite this knowledge the world proceeded to deploy nuclear power reactors – led by the United States – that has created a total global inventory of over one quarter of million tons. Most of this is stored in water filled pools. In addition to creating a massive plutonium stock – 2500 tons (contained in spent fuel) and compared with the micro-grams that were valued above gold in 1944 by the engineers running the Manhattan project – the spent fuel crisis has spread worldwide to every nation operating nuclear reactors. The Fukushima-Daiichi accident focused attention on the issue as never before. Japan, a nation committed to reprocessing spent fuel at the Rokkasho-mura plant, had failed to solve the problem – like other nations the reprocessing route in Japan has failed economically and technically. TEPCO, at the CEO level in the late 1990s, was less convinced of the reprocessing route to spent fuel management than other utilities. Its support for the interim storage facility at Mutsu in Aomori underscored that it was not fully committed to the reprocessing option. One consequence of this was that the Fukushima-Daiichi site contained more spent fuel than most sites. But this problem is not unique to Japan – the United States currently has over 65,000 tons of spent fuel – three quarters of which is stored in poorly maintained and vulnerable pools. Matsumura and Murata have performed a vital public service. Their analysis and call for urgent action has been informed by such leading experts as Robert Alvarez, who for decades warned of the risks from spent fuel pool storage. Bob is a colleague of mine at Friends of the Earth in the United States and his grasp of shocking details that the nuclear industry and their governments would prefer to ignore is critically important for more people to understand. The evidence of risk has been known for decades. The much-cited Brookhaven study is worth studying in detail. Japan’s Nuclear and Safety Agency (NISA), TEPCO and their counterparts in the U.S. and internationally have been well aware of the hazards of spent fuel. But have done nothing to reduce these significantly. Now we face a crisis for which there is no simple, risk free solution. Removing the spent fuel rods at Fukushima-Daiichi is a priority, but it will not be achieved (or even attempted) before 2013 or later. Securing the structure of the pool at Unit 4 was identified early on in the crisis, with support columns installed. But the survivability of these columns, if struck by a major seismic event, must be doubted. A decision to build a new structure around the plant with heavy lift cranes is only the start of a long process that risks failure at numerous corners. All through this period and before the spent fuel is unloaded and put in secure casks the possibility will persist of loss of cooling water leading to an exothermic reaction that would lead to the release of a vast inventory of radioactive cesium and other radio-nuclides. The 50 mile evacuation zone recommended for U.S. citizens in the months after the Fukushima accident began would not be sufficient to protect Japan, including Metropolitan Tokyo, from potential devastation as a society. That was the information conveyed to Prime Minister Kan more than one year ago – and it remains the nightmare today. In the event of further severe damage to the spent fuel pool in Unit 4 what are TEPCO’s options? Water spraying and the use of materials such as boron and sand would appear the most relevant. The risk is that, with water spraying on Fukushima-Daiichi unit 4 following a loss of the cooling water and even collapse of the building, this could make the situation worse – if the spent fuel rods have gone beyond 900 degrees then the water will provide further oxidation helping to release more radio-nuclides into the atmosphere. The zircalloy fuel cladding around the thousands of fuel rods at Fukushima-Daiichi ignites at 900 degrees and above – fuel melting as seen in the cores of units 1, 2 and 3 occurs at 2800 degrees. Other important factors include the possibility that the pool collapses and the spent fuel rods are scattered on the ground with the result that the complexity of dealing with the problem is magnified. Emergency worker access to these rods may be impossible as they will be emitting lethal levels of gamma radiation. Remote access through the use of robots may not be feasible given the radiation levels. The rods will continue to release radiation until they are secured under water – but without access to the rods and the use of a crane this would not be possible – so a prolonged nuclear release over days and weeks would be potentially catastrophic for Japan. It is worth noting that the crisis could have been even much worse. Plans by TEPCO to load hundreds of tons of Mixed Oxide fuel containing tons of plutonium were thwarted a decade ago by local citizens and then Governor Sato Eisaku of Fukushima. If TEPCO had been successful the spent fuel pools of reactors at the site, as well as the molten reactor cores would have presented an even greater challenge in terms of cooling, the threat of widespread and large scale plutonium dispersal, and their devastating human health impacts. Informed citizen action, unrecognised at the time, deserves widespread credit from Japanese society. Along with Alvarez, I have the honour to be working with Arnie Gundersen on a crisis at the San Onofre nuclear plant in southern California. The spent fuel threat at that site is if anything an even greater radiological risk given the 8.4 million people that live within 50 miles of the site. The simple lesson from Fukushima is that the threat from nuclear power, and in particular spent fuel, is real, should never have been ignored by governments for the past half century, and should be a decisive factor in ending the nuclear age. If Matsumura and Murata’s warnings could play a role in making such a future more achievable, this would be a signal achievement. Shaun Burnie is a nuclear consultant to Friends of the Earth U.S. and Greenpeace Germany. For over two decades he has been a campaigner and coordinator and now consultant to Greenpeace. He has visited and worked in Japan over 20 years – including in support of citizens seeking to prevent TEPCO plans for MOX fuel loading at Fukushima in 1999-2001. He is Scottish, currently visiting the United States. Cesium-137 at the Fukushima-Daiichi site is 85 times greater than at Chernobyl. Japan’s former Ambassador to Switzerland, Mr. Murata Mitsuhei, was invited to speak at the Public Hearing of the Budgetary Committee of the House of Councilors on March 22, 2012, on the Fukushima nuclear power plants accident. Before the Committee, Ambassador Murata strongly stated that if the crippled building of reactor unit 4 – with 1,532 fuel rods in the spent fuel pool 100 feet (30 meters) above the ground – collapses, not only will it cause a shutdown of all six reactors but will also affect the common spent fuel pool containing 6,375 fuel rods, located some 50 meters from reactor 4. In both cases, the radioactive rods are not protected by a containment vessel; dangerously, they are open to the air. This would certainly cause a global catastrophe like we have never before experienced. He stressed that the responsibility of Japan to the rest of the world is immeasurable. Such a catastrophe would affect us all for centuries. Ambassador Murata informed us that the total number of spent fuel rods at the Fukushima-Daiichi site, excluding the rods in the pressure vessel, is 11,421 (396+615+566+1,535+994+940+6375). In recent times, more information about the spent fuel situation at the Fukushima-DaiIchi site has become known. It is my understanding that of the 1,532 spent fuel assemblies in reactor No. 4, 304 assemblies are fresh and unirradiated. This then leaves 1,231 irradiated spent fuel rods in pool No. 4, which contain roughly 37 million curies (~1.4E+18 Becquerel) of long-lived radioactivity. The No. 4 pool is about 100 feet above ground, is structurally damaged and is exposed to the open elements. If an earthquake or other event were to cause this pool to drain this could result in a catastrophic radiological fire involving nearly 10 times the amount of Cs-137 released by the Chernobyl accident. The infrastructure to safely remove this material was destroyed as it was at the other three reactors. Spent reactor fuel cannot be simply lifted into the air by a crane as if it were routine cargo. In order to prevent severe radiation exposures, fires and possible explosions, it must be transferred at all times in water and heavily shielded structures into dry casks. As this has never been done before, the removal of the spent fuel from the pools at the damaged Fukushima-Daiichi reactors will require a major and time-consuming re-construction effort and will be charting in unknown waters. Despite the enormous destruction caused at the Dai Ichi site, dry casks holding a smaller amount of spent fuel appear to be unscathed. Based on U.S. Energy Department data, I assume a total of 11,138 spent fuel assemblies are being stored at the Daiichi site, nearly all of which is in pools. They contain roughly 336 million curies (~1.2 E+19 Bq) of long-lived radioactivity. About 134 million curies is Cesium-137 – roughly 85 times the amount of Cs-137 released at the Chernobyl accident as estimated by the U.S. National Council on Radiation Protection (NCRP). The total spent reactor fuel inventory at the Fukushima-Daiichi site contains nearly half of the total amount of Cs-137 estimated by the NCRP to have been released by all atmospheric nuclear weapons testing, Chernobyl, and world-wide reprocessing plants (~270 million curies or ~9.9 E+18 Becquerel). It is important for the public to understand that reactors that have been operating for decades, such as those at the Fukushima-DaiIchi site have generated some of the largest concentrations of radioactivity on the planet. Many of our readers might find it difficult to appreciate the actual meaning of the figure, yet we can grasp what 85 times more Cesium-137 than Chernobyl would mean. It would destroy the world environment and our civilization. This is not rocket science, nor does it connect to the pugilistic debate over nuclear power plants. This is an issue of human survival. I would like to introduce Ambassador Murata’s letter to UN Secretary General Ban Ki-moon to convey this urgent message, and also his letter to Japan’s Prime Minister Yoshihiko Noda, for Japanese readers. He emphasized in the statement that we should bring human wisdom to tackle this unprecedented challenge. It seems to us that the Nuclear Security Summit was focused on the North Korea nuclear issue and on the issue of common security from a terrorist attack. Our appeal on the need for independent assessment at Reactor 4 was regarded as less urgent. We predicted this outcome in light of the nature of the Summit. I suppose most participants fully understood the potential disaster which will affect their countries. Nevertheless, they decided not to raise the delicate issue, perhaps in order not to ruffle their diplomatic relationship with Japan. I was moved by Ambassador Murata’s courage in pressing this issue in Japan. I know how difficult it is for a former career diplomat to do this, especially in my country. Current and former government officials might be similarly restricted in the scope of their actions, as Ambassador Murata is, but it is their responsibility to take a stand for the benefit of our descendants for centuries to come – to pass on a world safer than our ancestors passed on to us. I was asked to make a statement at the public hearing of the Budgetary Committee of the House of Councilors on March 23. I raised the crucial problem. of N0.4 reactor of Fukushima containing1535 fuel rods. It could be fatally damaged by continuing aftershocks. Moreover, 50 meters away from it exists a common cooling pool for 6 reactors containing 6375 fuel rods! It is no exaggeration to say that the fate of Japan and the whole world depends on NO.4 reactor. This is confirmed by most reliable experts like Dr. Arnie Gundersen. Please allow me to inform you of an initiative being taken by a former UN official who is endeavoring to have the Nuclear Security Summit take up the crucial problem of N0.4 reactor of Fukushima. He is pursuing the establishment of an independent assessment team. I think his efforts are very significant, because it is indispensable to draw the attention of world leaders to this vital issue. Matsumura Akira, ‘Finding the Missing Link,’ published this at Reader Support News on April 12, 2012 – link. Recommended citation: Shaun Burnie, Matsumura Akio and Murata Mitsuhei, “The Highest Risk: Problems of Radiation at Reaction Unit 4, Fukushima-Daiichi,” The Asia- Pacific Journal, Vol 10, Issue 17, No. 4. First of all, the seriousness of the reactor situation is seeping into the public consciousness which is a step forward. Hopefully, the Japanese government will be on the same page as these nuclear engineers and consultants soon. Waiting another year is unacceptable b/c the reactors will not heal themselves. Steps need to be taken right away: – Remove fuel assemblies in Fukushima Daiichi units 5 and 6 immediately. The infrastructure to handle the fuel is intact in these reactors. – Remove spent fuel in common pool. Much of this fuel is cool enough to put into dry casks. The rest can be transported in fuel transport casks used to handle hot fuel. – Unenergized fuel rods in SFP 4 can be transported in transport casks. – Pump concrete into basement of reactor unit 4 and build/install concrete bulkheads under spent fuel pool. There is no reason why this has not been done already as workers have been in and on top of this building to do the cleanup and demo to date. – Build sheet-pile/slurry wall cofferdam around the entire site. This would control water flowing through the campus. This also should have been done immediately after the incidents. A rail spur should be built into the site so that heavy loads can be transported easily. – There are four 500 ton cranes on the site already, there is adequate heavy lift. No new crane construction is necessary. – A small hydraulic crane can be placed next to the pool(s) to load assemblies into fuel transfer casks that are used now to load fuel into the reactor buildings. These casks hold water and have boronated supports. The casks can be transported by water-filled rail car to Rokkasho for storage. All cranes can be operated hydraulically by remote control. – Hire Boots and Coots and have them engineer solution for removing cores from under reactors (carefully). Corium and concrete can be drilled w/ drilling equipment and material transported in water-filled casks on rail cars to Rokkasho. Reactors can then be demolished and buried within cofferdam and buried in concrete then paved over along with machinery used to do the work. – Remove Tepco from the recovery job, they are not up to it. Steve you are the voice of reason. I must confess, I don’t understand how the fate of the nation, or the world (or any of us who live on the west coast of the US) can be permitted to remain in the hands of a corporation that has proven itself time and time again to lie, and be corrupt, incompetent, and indifferent to the health and safety of its own workers and its own country men, women, and children. I don’t understand how Ineptco can continue addressing this challenge on what seems to be a leisurely timetable lacking any meaningful sense of urgency. I don’t understand why the government of Japan appears willing to let this situation continue and does not seem willing to stand up to Ineptco (Tepco) and require them to accept help and materials from other countries – help that will permit them to achieve their time table faster. I don’t understand why an international coalition has not come together to work with the Japanese government and Ineptco (Tepco) to address each of the items you mention. I get that face saving is important in the Japanese culture. I get that it is important to maintain happy diplomatic relations with Japan so everyone walks on eggs with them. I get that Japan is a sovereign nation with a right to determine its own destiny. What I don’t get is why these things seem to be taking precedence over protecting the planet from an even bigger radiological catastrophe than has already happened. I also understand that manpower and expense for all the specialized materials and construction necessary for cleanup and mitigation may be an issue for Ineptco, however, if Ineptco (Tepco) truly can’t afford to buy or develop or staff what is needed to clean up the mess and reduce the risk to all peoples, then I would think it would be in the self interest of every country in the northern hemisphere, if not the world, to donate dry casks for spent fuel storage, raw materials to create barriers to contain water, or cover buildings, etc. AND to provide the manpower necessary to speed the timetable for securing ALL spent fuel rods at the plant. It isn’t about money or profit any more. It is about protecting lives and saving the planet from a future of catastrophic radiation contamination. The situation we presently have is madness on a colossal scale. I appeal to any journalists who read this to tell their readers the true story of the ongoing risk at Fukushima. I also encourage any politicians who might read this to investigate further and raise this issue with their colleagues and demand action on the part of their government. At the very least, an international inspection team should be permitted access to unit 4 to provide an independent risk assessment. If action is being taken, let the world know. Considering all that has happened, I do not feel comfortable knowing that my life rests in the hands of of Ineptco (Tepco). Back then, we returned milk bottles, soda bottles and beer bottles to the store. so it could use the same bottles over and over. So they really were recycled. every time we had to go two blocks. But she was right. wind and solar power really did dry our clothes back in our early days. so we didn’t need to go to a health club to run on treadmills that operate on electricity. razor just because the blade got dull. order to find the nearest pizza joint. we didn’t have the green thing back then? from a know it all young person. Remember: Don’t make old people mad.